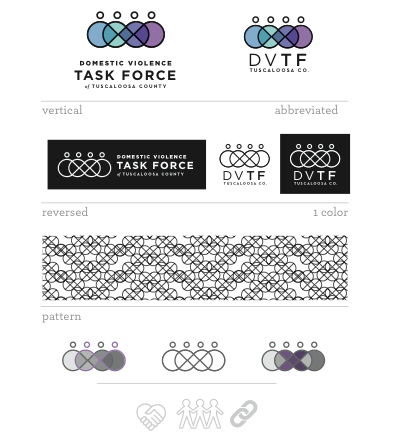 Brief: The charge for this job was branding a task force that had no identity outside of the ribbon imagery associated with the domestic violence prevention cause. 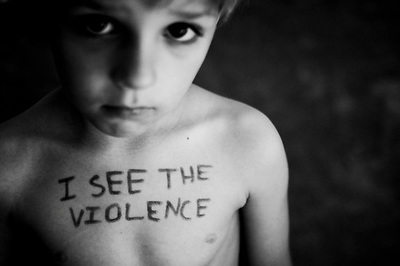 The concept of community is at the forefront of this mark’s messag- ing. Highly representative of actual human forms, this mark’s round edges convey a soft strength. Clean, simple lines and the soft gradient of colors in this branding suite are both inviting and calming. 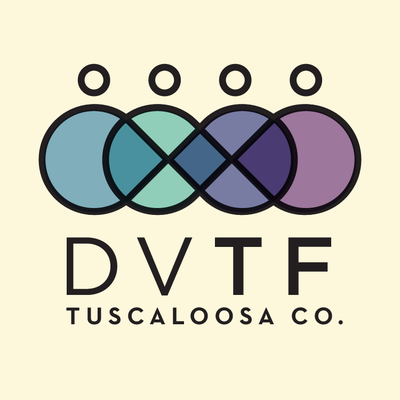 This emblem directly represents the community DVTFT serves and invites them to connect. 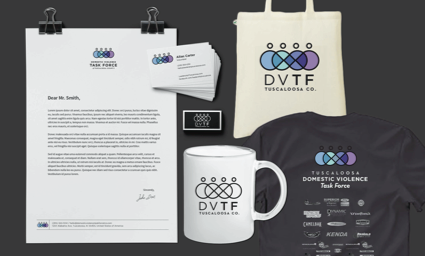 The Task Force consists of DV specialists from across law enforcement, victim advocacy, and faith groups, each needing to buy in to the brand identity. 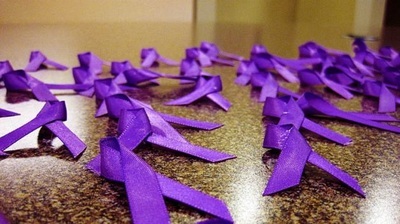 The cause community has seen enough ribbons. 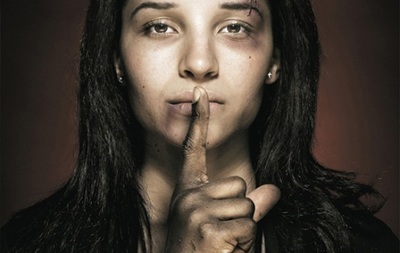 We went with the strict rule of no hands, hearts, or houses because the non-profit sector is flooded with these images.